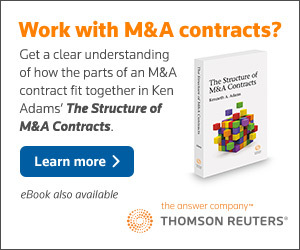 Do You Need Transactional Experience to Teach Contract Drafting? I’ll start by acknowledging that transactional experience probably isn’t enough. If that’s all an instructor has going for them, their drafting is likely fueled by whatever conventional wisdom they’ve picked up along the way. They’ll likely impart to students the usual mishmash dysfunction of traditional contract drafting, with a side helping of war stories. At the core of a course in contract drafting should be the notion that you want students to become informed consumers of contract language. That requires comprehensive guidelines to the building blocks of contract language. For that, your choice is A Manual of Style for Contract Drafting or … A Manual of Style for Contract Drafting. The good news there is that with some semantic acuity and application, anyone can become fluent in the building blocks of contract language, whatever their transactional experience (or lack of it). 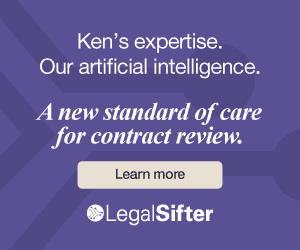 But along with theory, it would be valuable to have practice—in other words, an understanding of how contract usages, and contract substance, plays out in the marketplace. It’s tough to acquire that without experience handling transactions or drafting actual contracts. 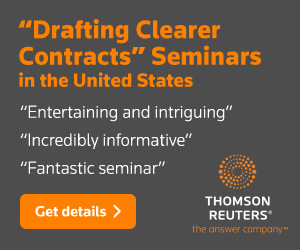 Down the road, I’d like to develop a syllabus and an online set of materials for a course in contract drafting, complete with assignments, video clips from practicing lawyers, and the like. That might be a way to make up for an instructor’s shortfall in practical experience. By the way, I don’t mean to suggest that Professor Turner or anyone else is suggesting that teaching contract drafting without transactional experience comes without a cost. The point of this post is to suggest what that cost is and how one might address it.